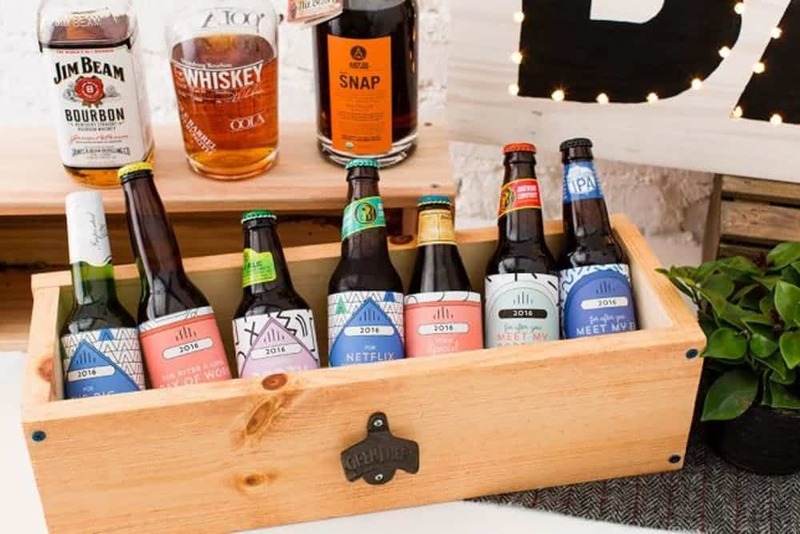 15 Best Friend DIY Gifts To Say "Thank You"
Whether it’s edible, made for a spa day at home, or just plain cute, these 15 best friend DIY gifts are the best way to say “thank you for being a friend,” just like The Golden Girls would like us to. We’ve searched the web and found a wonderful collection of surprises that are not only easy to whip up – even for novice crafters – but won’t break the bank either. Dive on in and scroll through below! 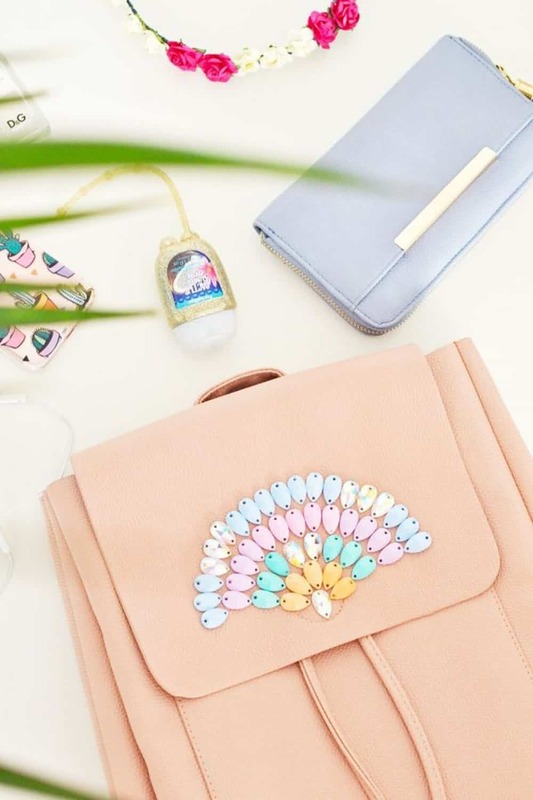 This crystal-adorned backpack we’ve gushed about on DIYs before is the perfect gift for your BFF. She can use it for work or school – and makes for a great birthday present or holiday treat! Choose your colors and create something extra trendy for her! 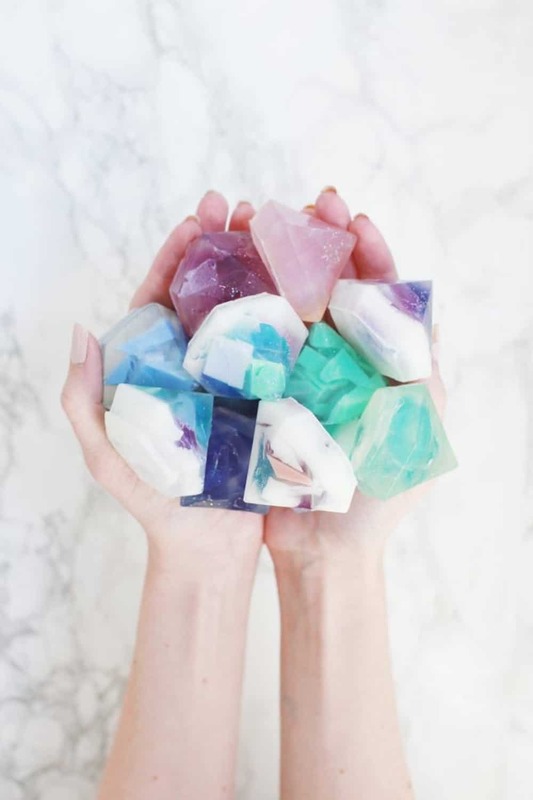 Beautiful soaps can do the trick as well. You’ll have fun creating these cuties and wrapping them up. Follow along with the tutorial over at A Beautiful Mess. 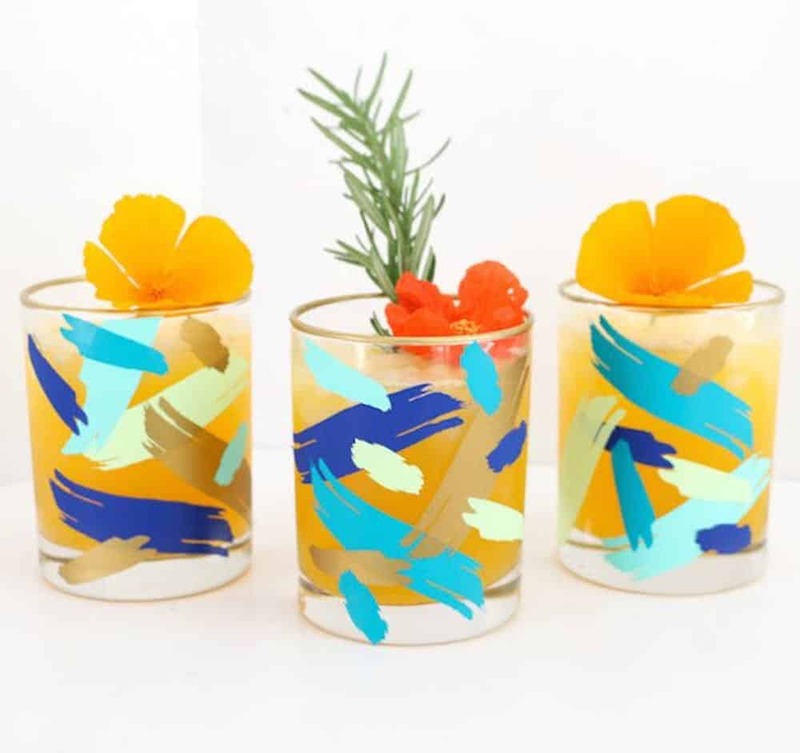 Grab a set of inexpensive tumblers and take them to the next level with some paint. This style is easy to recreate, even for the novice crafter. Grab some more inspiration by visiting A Kailo Chic Life. Almost Makes Perfect went with a gift that induces some relaxation. 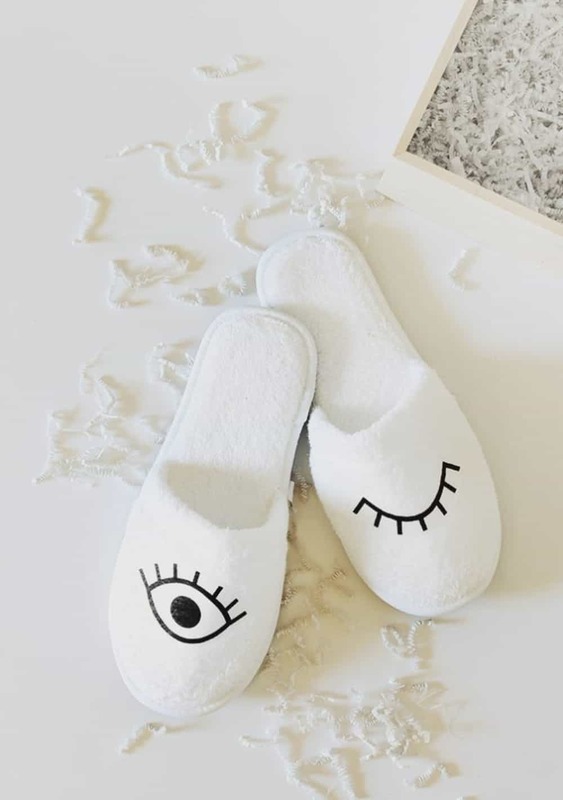 Take those regular slippers to an entirely new level by adorning them with a trendy bit. Take the leap and see how it’s done now! Here’s another project that you can have a little fun with. 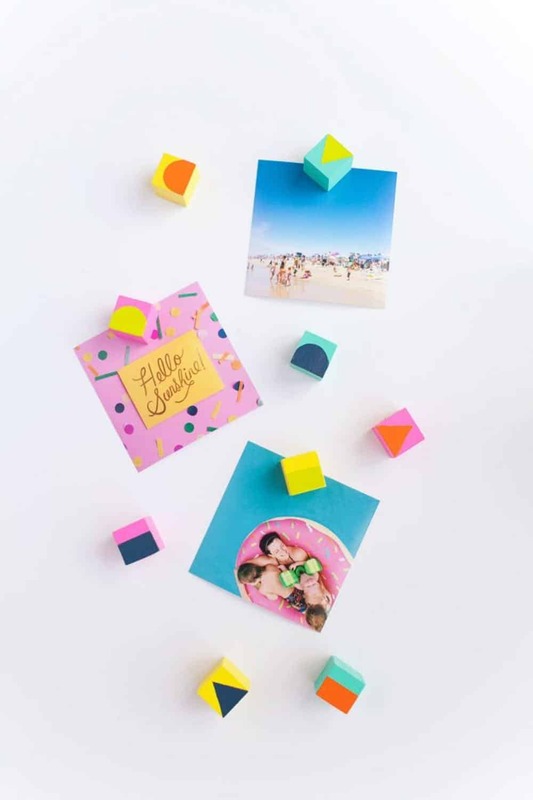 Personalize with colors and shapes, just like the ones you’ll find over at Tell Love and Party. The fridge is just another spot you can add some fun style to. Homey Oh My! will show you how to make a beautiful new planter for your BFF. She can add some style to the home office. But at the same time, breathe some fresh life into the space as well with the greens! 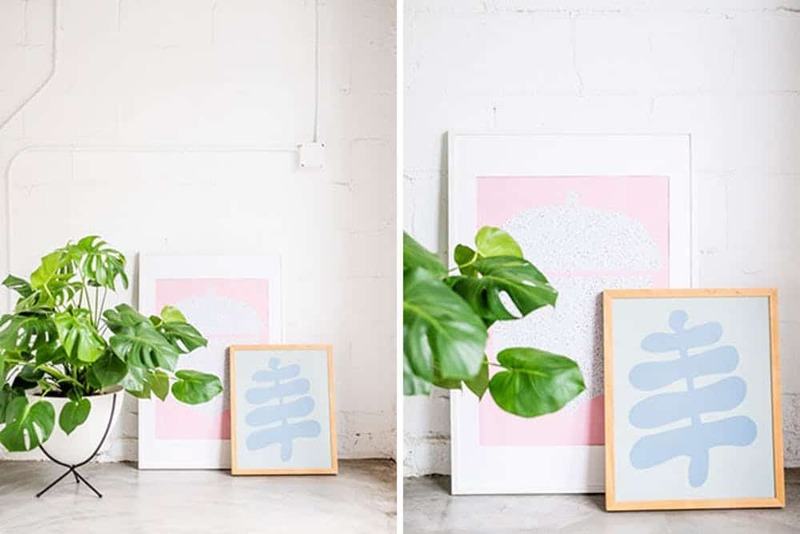 Gift him or her some beautiful, original abstract wall art. 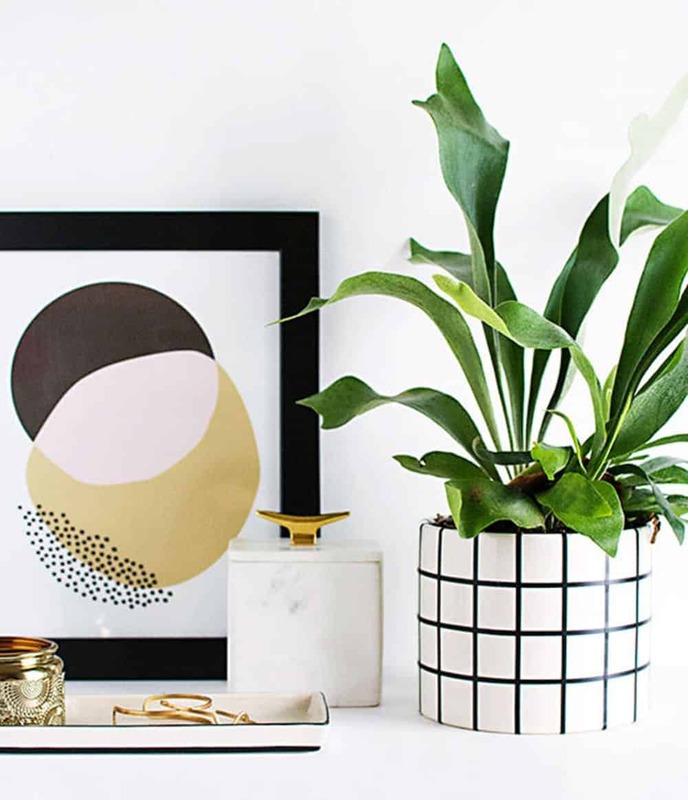 Jazz up office nooks or home corners, and expel some of your creativity. All the details can be found by visiting Paper & Stitch. 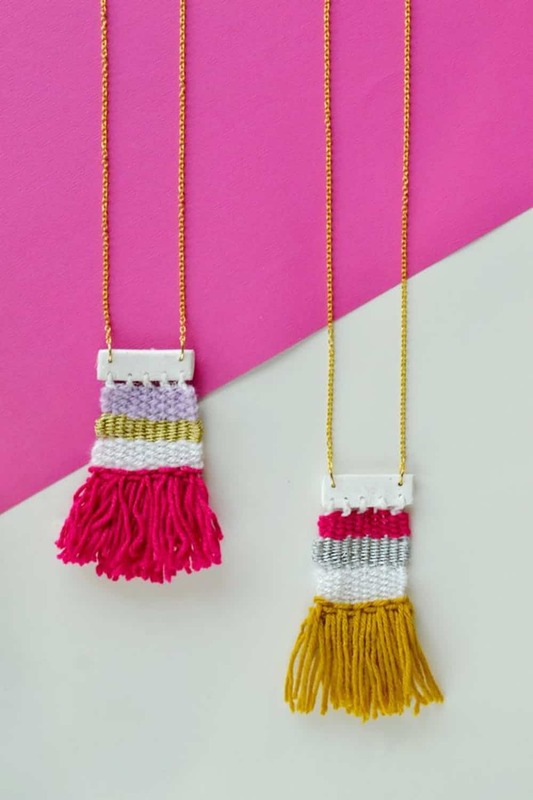 Enthralling Gumption will teach you how to create a stunning necklace – with your own two hands. 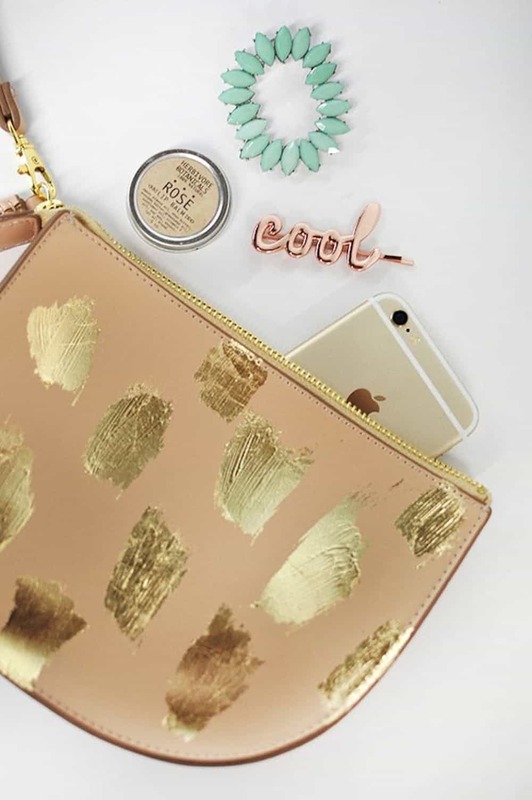 Personalize the colors based on your BFF’s favorites but one of these can be made to last a really long time. It’ll become her favorite piece! This clutch is pretty snazzy as well. You can create one that looks just like it or just use it as some simple inspiration for your own design. All you have to do is visit out friends at Delineate Your Dwelling to snag the directions to make it happen. Twinspiration went with some gilded coverage as well. But this time, it was for a sunglasses case. She won’t be getting her favs scratched in her purse anymore with this addition! A Beautiful Mess has so many fun things to make and give away in love. 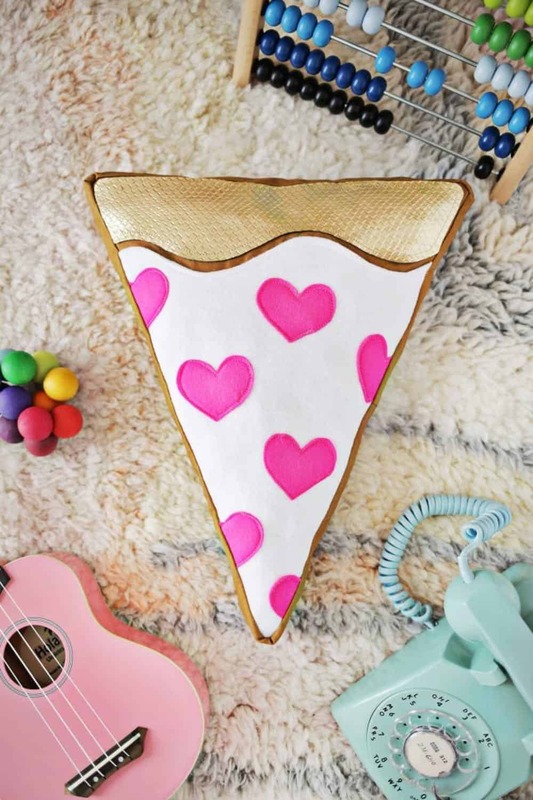 If you want something really original and fun, check out this plush pizza! It’ll certainly induce a fun smile. 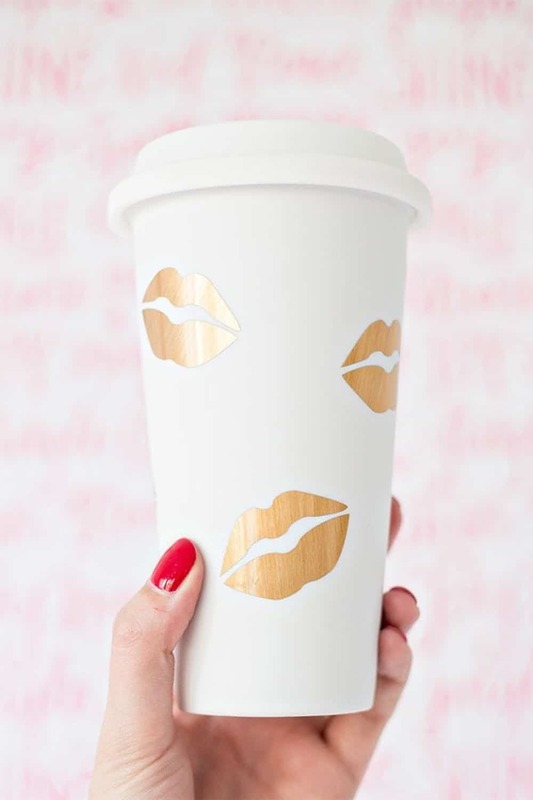 We are head-over-heels in love with this smitten travel mug. It’s got a charming style and one that isn’t too hard to handle. Studio DIY will have everything you need to know to bring this to life. 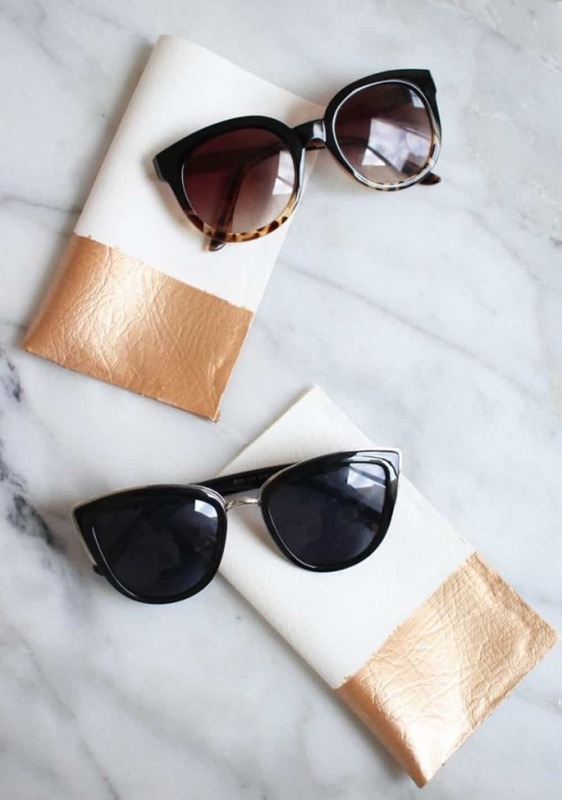 A bit of leather can be turned into something quite functional and trendy. And thanks to Momtastic, you’ll learn how quite quickly. 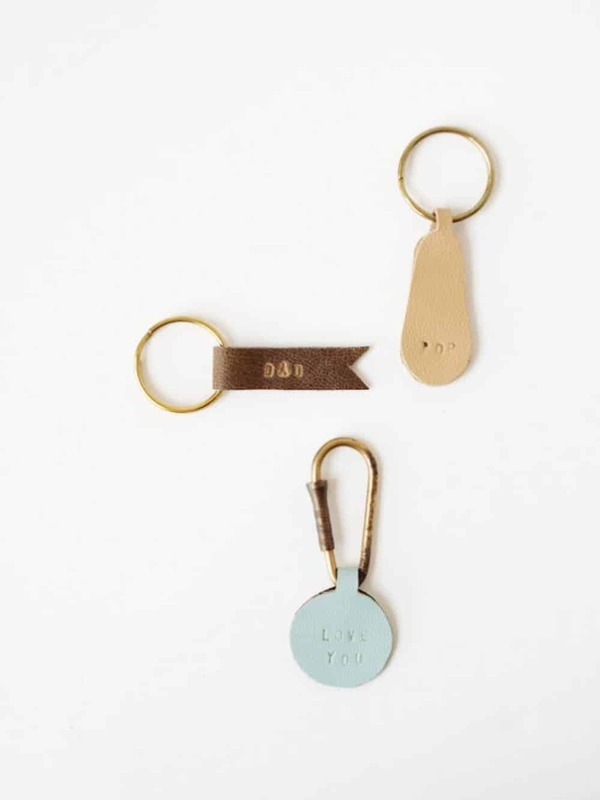 Scrap bits can be turned into personalized keychains! We have another necklace that will act as the perfect gift for your BFF. Brit + Co created a quartz necklace that’s right on trend but also includes a DIY charm that your bestie wil cherish. Check it out after the jump. Stumped On What To Get Her? Here Are 15 DIY Christmas Gifts For Mom!